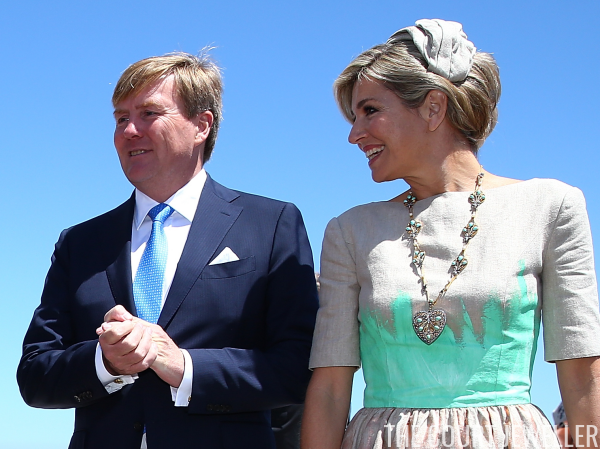 This is the gold, diamond, turquoise, and pearl necklace that belonged to Queen Juliana. The piece has a distinctive heart pendant, which can be worn separately as a brooch. 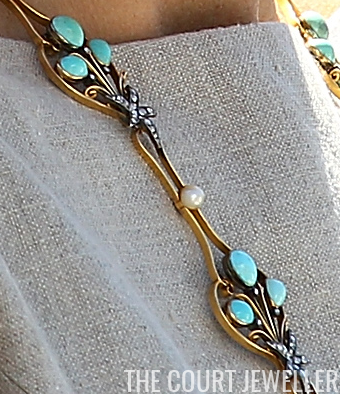 Here's a closer look at the details of the necklace chain. I can see why Max decided not to wear earrings or bracelets with this piece. Anything else would send the eye darting elsewhere, and this styling decision lets Juliana's necklace take center stage.